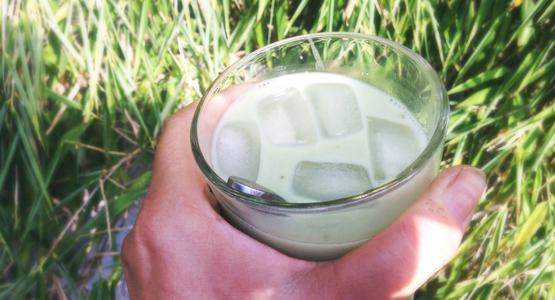 The best and most refreshing drink for hot summer times is matcha-oatmilk icecold!! 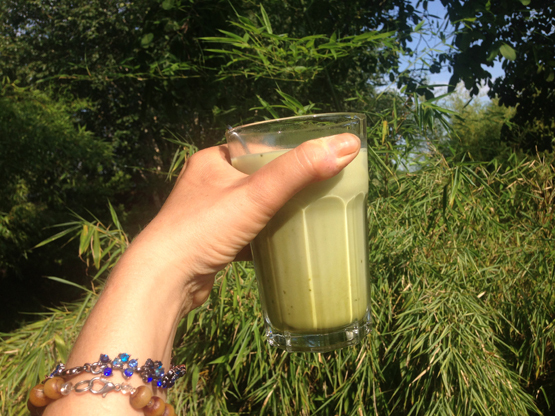 Put a spoonful of matcha powder in a little cold water, stir it, add oatmilk and some icecubes and … enjoy! Even the colour lowers your body temperature: minty!